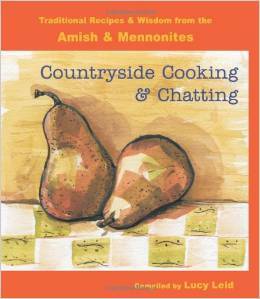 Amish cooking, bread recipe, faith, family, food, Mennonite cooking, More with Less Cookbook, Oatmeal bread, Whatever Happened to Dinner? Next up in testing recipes for Gather Round the Amish Table is Mother’s Oatmeal Bread. (Here are my other two tests, for Chocolate Cake and Amish Pecan Sticky Buns.) Yes, I’ve written about another oatmeal bread recipe that is my family’s ALL TIME FAVORITE from More with Less Cookbook, so I had mixed feelings trying this. Nothing could beat More with Less, could it? Making four at once was interesting. Would my Kitchen Aid stand mixer with massive dough hook be up to the challenge? Would I burn out the motor on such a job? 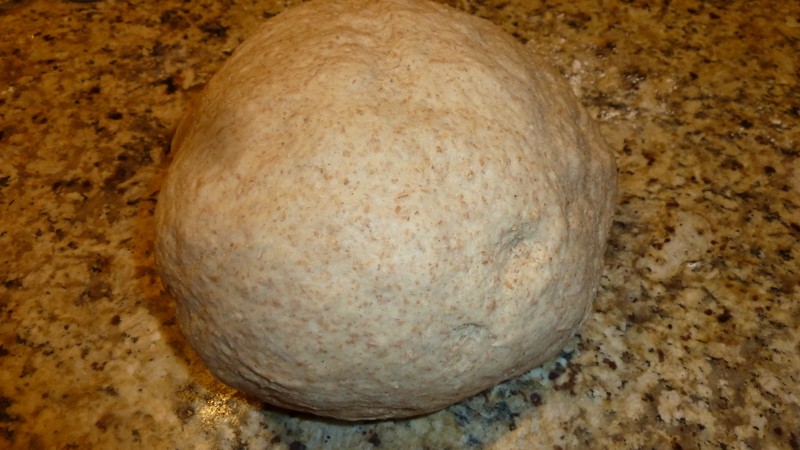 Would the heap of dough rise way up over my large pottery raising bowl? Such drama. The project coordinator for reissuing Gather Round the Amish Table had her own questions she needed to have answered—which gets us to the whole reason for redoing the cookbook, which was originally Countryside Cooking and Chatting, by Lucy Leid (Herald Press, 2006). Many of the recipes in this collection—like so many old timey ones—were incomplete in directions, assuming that most cooks would easily be able to fill in the blanks of steps left out or even amounts left out: like how much flour to put in! This recipe lacked the flour amount. It passed all my challenges with flying colors and the taste test too. This recipe calls for honey which I usually don’t use for the More with Less recipe, which calls for brown sugar. (I’m sure many cooks make that substitution anyway.) But overall the honey resulted in bread that was perhaps a little less sweet. But that’s OK—and preferable and healthier for many folks. What do you think? It also uses eggs and oil (instead of butter which I used in our usual recipe). But if you need a great recipe for making 4 loaves at once, or want to divide this in half and make two, this works either way. *The original recipe called for an even 50/50 split of white and wheat flour; your call on that. In my opinion, making this flour mixture half and half makes too dense of bread for our tastes (although I know that freshly ground whole wheat flour lessens the density, I’m told). 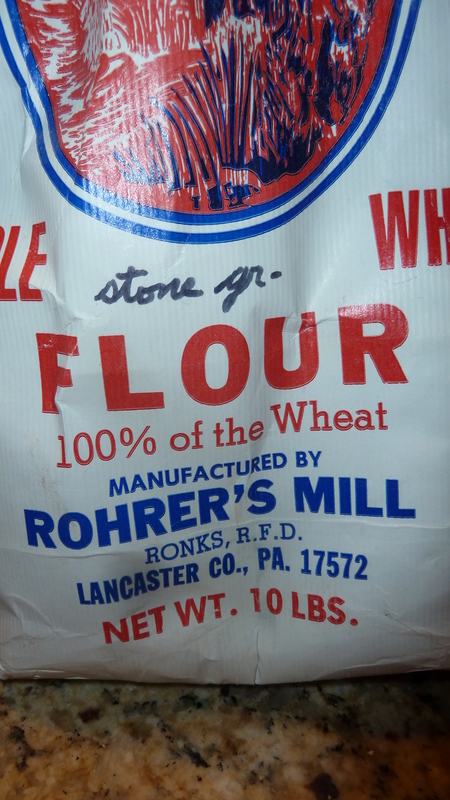 I also love that I was able to use a bunch of whole wheat flour from my friend Nancy Landis’ family mill, Rohrer’s Mill near Lancaster, Pa. which we purchased a number of years ago and still keep in the freezer in this bag. We were so pleased to visit the mill, which unfortunately burned in 2006. In the forthcoming book, Gather Round the Amish Table, there’s a delightful story along with this recipe about how the originator served this bread at an Amish birthing center. The original book was called Countryside Cooking and Chatting, and again, the “chat” is great but I won’t spoil the book by sharing that story here. There will be lots of fun and fascinating stories along with beautiful photos in the book next year. Do you substitute honey for sugar frequently? 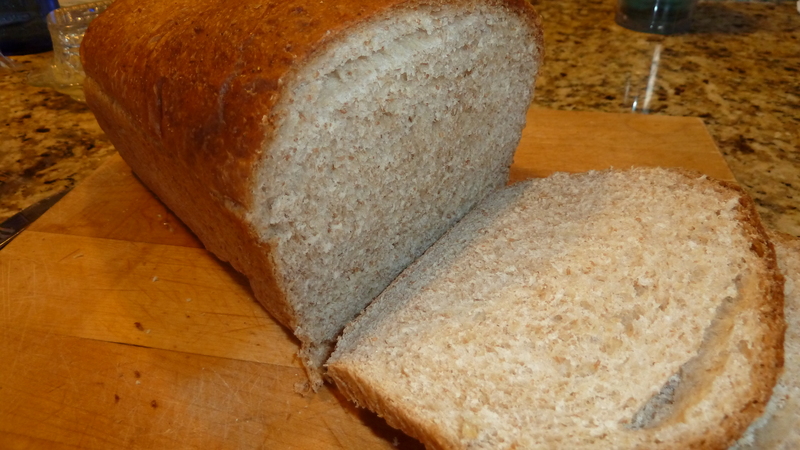 What is your all-time favorite bread recipe, or bread that you buy? Where do you get it? I’d love to hear. This I’l have to share on Facebook, Melodie. Yum!!!! I think that I will try this! If you bake bread at all, it is a simple recipe. Good luck! Looks very yummy. I’ve always liked the moistness of oatmeal bread, but it’s been a very long time since I made some. 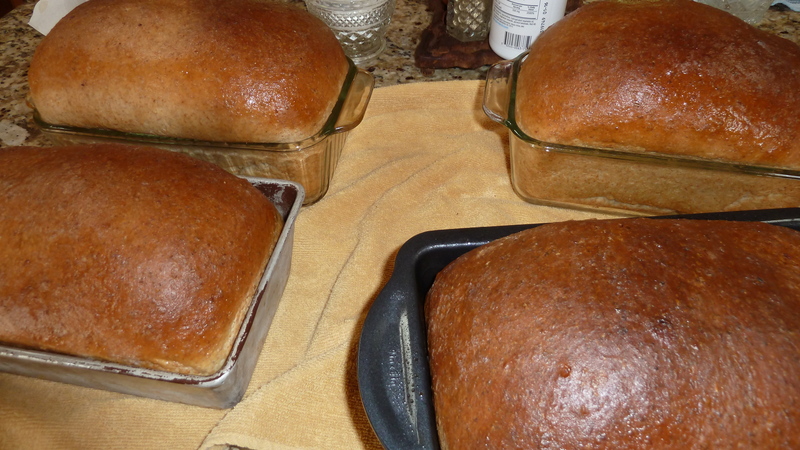 Four loaves are a lot, but not in an Amish family. Yes, I got to thinking about how quickly 4 loaves would go. Sharing them helps! Hi Melodie, my grandmother Ella was the one who submitted the recipe for oatmeal bread into the “More with less cookbook.” I’m not sure where she got the recipe, whether her family, who was Swiss Mennonite, handed it down to her or whether she got it from her husbands family, who was Amish. Regardless, it’s delicious! Oh that is exciting to know the source of this recipe and that Ella Rohrer is probably also related to me, being of the large Hostetler/Hochstetler tribe (I assume you all are part of the Hostetler family train of ancestors)! Swiss Mennonite and Amish are two great threads! We agree that bread is SO good. I must make some soon! 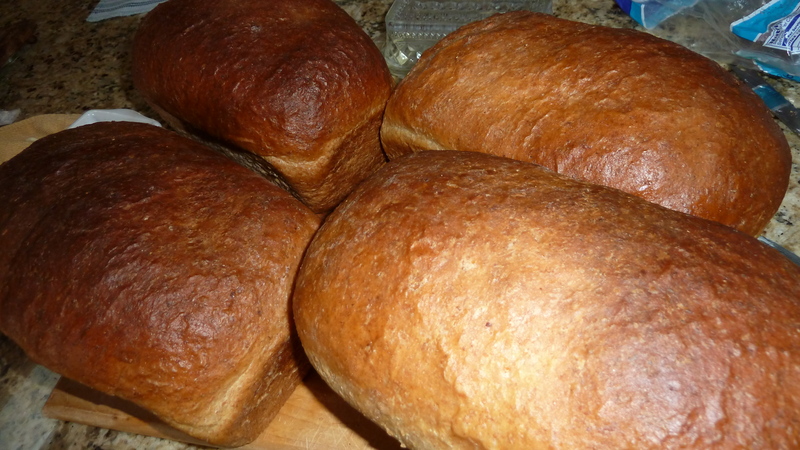 I bake bread more often in the fall and winter seasons–too busy with canning in the summer! Just want to know if it is liquid honey or creamed? I used liquid honey. Thanks for popping by!